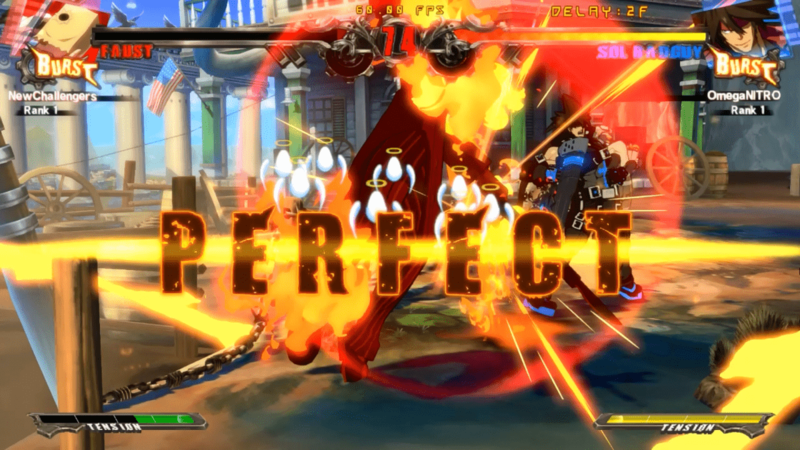 Hey, what do you know, Arc System Works has ported their popular PS4 fighter, Guilty Gear Xrd -Sign- to PC via Steam. And knowing how popular fighting games are, we had our resident fighting game guy, you may know him from the fighting game community as OmegaNITRO, to put the game through it’s paces. Did he like it? How did it compare to the PS4 version? Should you play it if you already have the PS4 version? You’ll have to watch the video to find out. There was once a time when PC fighting game fans felt that publishers were giving them the cold shoulder. Often times they’d be lucky to see the popular, big name fighters that consoles enjoyed at all, to say nothing of actually having the most current version. For a long time ArcSys’s flagship franchise, Guilty Gear was stuck in the past on PC, with #Reload being the only version available while console players had Accent Core +R. Even XRD on PC is behind the curve, with the PS3 and PS4 versions having been released last year. But ArcSys is showing they are committed to closing that gap and catering more to their PC fans with more Steam releases, starting with the most visually stunning Guilty Gear to date. For those new to the series, Guilty Gear is a fast-paced, highly technical 2D fighting game with stylish, edgy, anime-style characters and a hard rocking soundtrack. It sports very free-flowing combat mechanics that heavily promote offense, plenty of options and techniques both on the ground and in the air, and each character has very unique playstyles and tools. It’s not the easiest game to get into, but it feels extremely rewarding when your practice and experience yield improvement, and it seems like there’s always something to learn. Guilty Gear XRD -SIGN- itself actually does a great job easing newcomers into the game, through a fairly comprehensive tutorial mode, with lessons and trials that go a long way in teaching you how to play the game. It also comes with a fully animated story mode that allows you to enjoy the world and its characters without even having to play a match. Other classic game modes such as Arcade and Survival are present and accounted for to give decent single player content that accompanies online and local multiplayer. Regardless of how competitive you may or may not be, there’s a lot of fun to be had with the game in the Steam version, same as the console versions. But while the game has migrated from console to PC mostly intact, the transition hasn’t been at all seamless, and ArcSys hasn’t taken the opportunity to add anything that people owning the console versions don’t already have. There are some basic PC features like changing resolution and a few different Anti-Aliasing options, but overall nothing particularly significant. Both PlayStation and Xbox brand controllers and arcade sticks registered with the game without much issue, though the simplified button configuration had to make up for the fact that the game identified the PlayStation button map incorrectly. One of the biggest draws of any fighting game in recent times is online multiplayer, but the robust lobby system present in the console version is nowhere to be found here, replaced with a more standard, simply lobby list. As of now, the network connections seem to be unstable, and the lobby itself displays at a severely low-quality resolution, which is an eyesore marring an otherwise beautiful game. While the frame-rate usually remains at a solid 60 frames per second, I did experience some screen tearing, and my machine is well over the recommended specs. * Copy of game provided by Arc System Works.